Early vendor engagement facilitates wire connector and component selection, optimizes manufacturing and improves end user product acceptance. 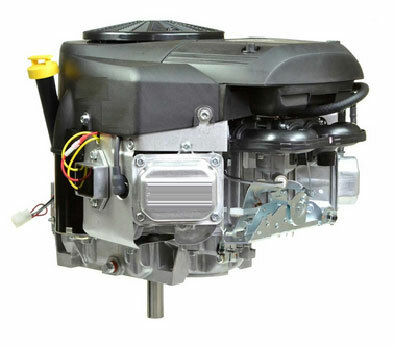 Small engine manufacturers make 5 – 35 HP products used in riding mowers, construction machinery, ATVs, utility vehicles, log splitters and sport vehicles. The engines typically ship with a standard wire harness that is used to connect power to necessary electrical peripherals like starters and batteries, and power and control services to all other electrical devices on the equipment. There are several significant challenges in the design of these types of wire harnesses. The first is the selection of peripheral device interfaces. Individual peripheral device manufacturers have different electrical and control connectors. So, it’s important to have a harness that can be used with the commonest devices. The second challenge is meeting space and size constraints for the harness. Finally, meeting performance specifications and cost targets for these competitive markets is imperative. PCA partnered with a major small engine manufacturer to develop a wire harness for a new electronically fuel injected two cylinder engine platform. Fortunately, the OEM had a good idea of the harness requirements based on previous product sales. 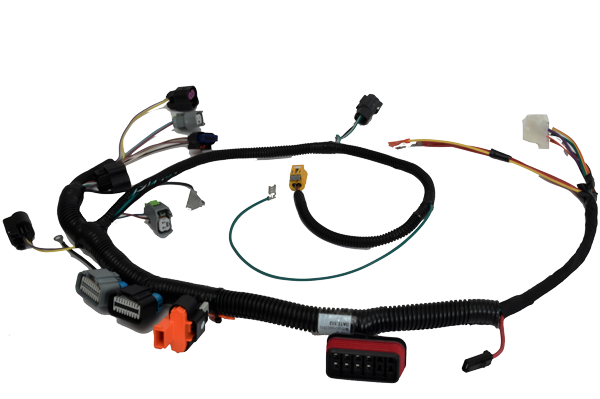 The new wire harness interfaces included connectors for coils, oxygen, temperature and pressure sensors, fuel injectors, a diagnostic port, an output connector and an ECM (Engine Control Module) connector. The system also needed relays and fuses. PCA was asked to optimize the connector list based on component availability, ease of assembly, potential volume and cost of the attached components. In addition, because the size of the harness bundle had to be minimized, wire gauge and insulator thicknesses had to be optimized to meet specifications. Early engagement allowed PCA to make optimal connector and wire selections possible, and even allowed time for the development of a custom 12 way fuse and relay holder that was designed and produced in-house by PCA. The solution PCA evolved to meet specifications and cost targets was a single harness unit. The product can be used to connect all power and power services on a broad variety of sports and work related equipment. PCA’s experience, engineering capability and problem solving ability turned a complex issue into a great set of features and benefits for the engine manufacturing OEM, thanks to their early participation in the conceptual and design part of the project.